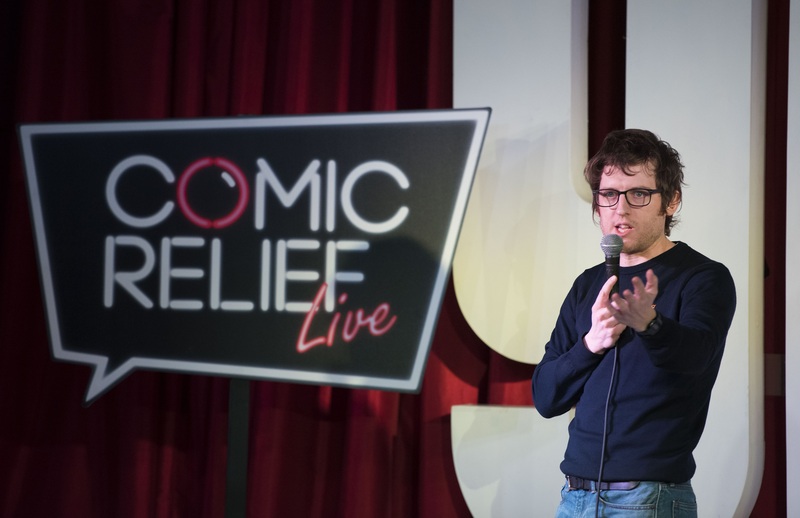 Comic Relief Live arrived in Cardiff Bay last night for the first of a series of unique comedy gigs taking place around the country ahead of this year’s Red Nose Day on Friday 24th March. 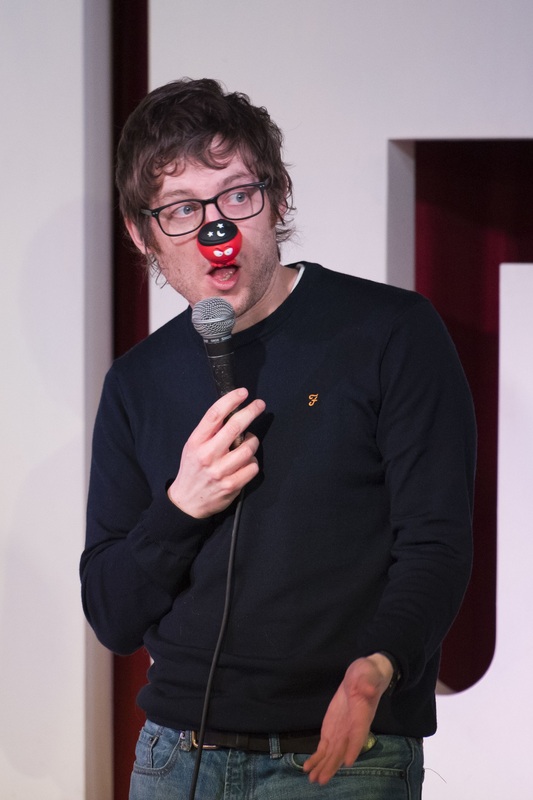 The show, at the packed Glee Club in Cardiff Bay, was hosted by Carmarthen comic Elis James. It featured an exciting line-up of some of the freshest and funniest stars of the future, including Dane Baptiste, Lou Sanders, Ivo Graham, Sarah Callaghan and Wales’ own Mike Bubbins and Matt Rees. Earlier that day, Elis visited CREA8 in Merthyr Tydfil, which receives funding from Comic Relief, to see the difference the money raised by Red Nose Day is making here in Wales. Comic Relief is calling on the generous people of Wales to once again fundraise and help change lives across the region, UK and Africa. 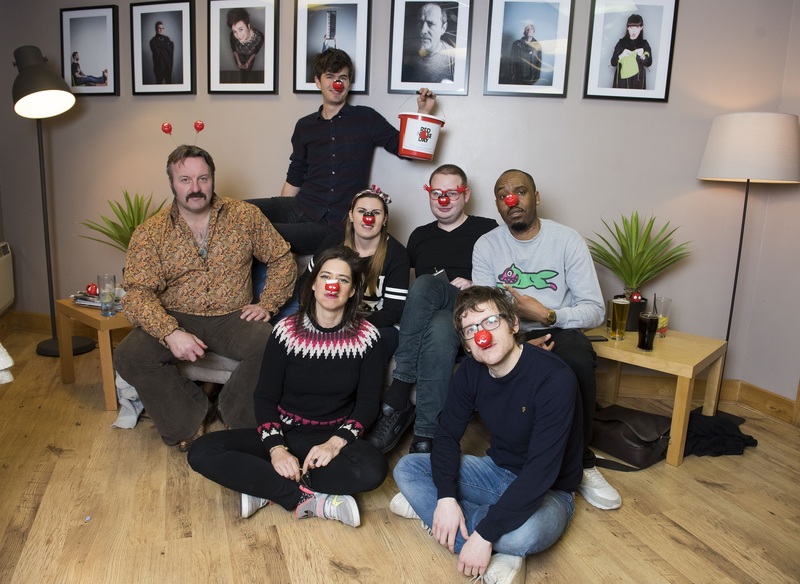 A whole host of comedians and celebrities are supporting this year’s Red Nose Day which will culminate in a night on the BBC as a host of comic favourites from Joe Lycett to French and Saunders, preside over a mammoth night of live comedy, sketches, music moments, fundraising films and more. Other highlights this year include the Red Nose Convoy, which has put three pairs of celebrities behind the wheel for an African road trip like no other. The team are currently delivering crucial supplies to Comic Relief funded projects en route, and reach their final destination this Saturday 11th February. Even the Noses themselves are gagging to get involved as they become characters on a cool digital comic strip game on rednoseday.com with Professor Stephen Hawking, Warwick Davies, Harry Hill and Katie Price among those providing the voices. There are also a host of famous faces modelling the brand new official Red Nose Day T-Shirt range, including David Walliams and Ellie Taylor. Find out how you can get involved and make your laugh matter at rednoseday.com.